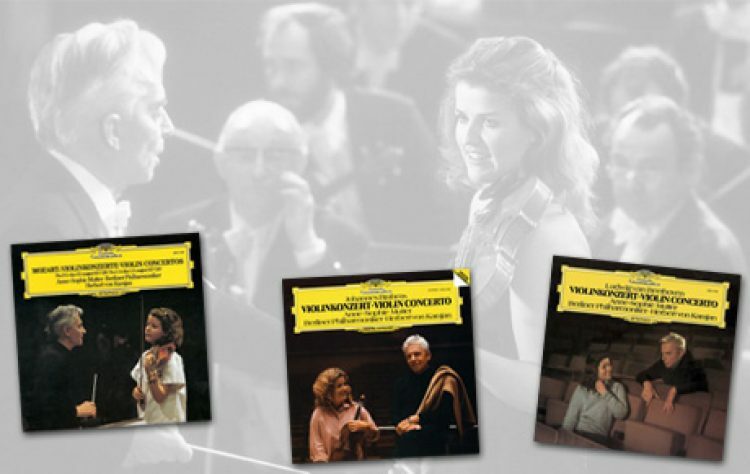 “In gratitude for my first concert with the Berlin Philharmonic under Herr von Karajan,” the thirteen-year-old Anne-Sophie Mutter wrote on a greetings card following her spectacular début at the Salzburg Whitsun Festival in May 1977. The concert marked the start of a happy joint success story – the whole world was astonished at the young violinist’s great musical maturity and at the special bond and artistic accord between soloist, conductor and orchestra. It was a harmonious relationship that was to be enriched by a number of other shared experiences, including their championship of new music. 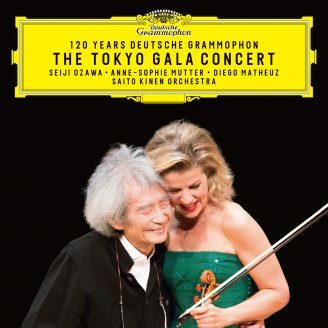 In 2007, for example, Anne-Sophie Mutter gave the world première of Sofia Gubaidulina’s In tempus praesens with the orchestra under Sir Simon Rattle, while her tireless advocacy of the younger generation of musicians is well illustrated by a concert she gave jointly with scholarship holders from the Orchestral Academy and from the Anne-Sophie Mutter Foundation in June 2012. A particular highlight was the concert she gave in 2008 marking the centenary of Karajan’s birth, a concert at which she performed Beethoven’s Violin Concerto – the piece that she played most frequently under Karajan. And now we have the Dvořák concerto, the one great Romantic concerto that had been missing from her discography and which she has now recorded with the orchestra with which she enjoyed her first great triumphs.